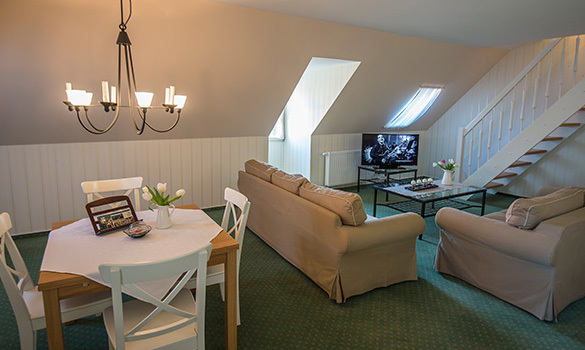 The apartment, which we call Herzogin Friederike is situated in the loft and has a size of 70m². The apartment is equipped for 4 -6 persons. 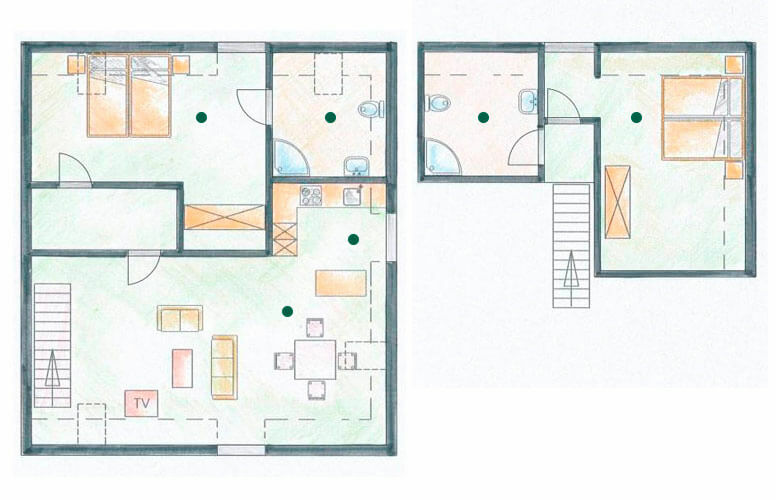 From the living room can be reached via the stairs is another bedroom and bathroom with shower and toilet. On demand we also offer a travel-bed for babies and a highchair for kids.